Tag Archives for " Dan Faggella "
It’s guest post day here at Duct Tape Marketing and today’s guest post is from Dan Faggella – Enjoy! Email marketing and marketing automation software often fails to achieve business goals of enhancing revenue and profitability, creating a “marketing gap” for businesses. This is a particular challenge for startups and small businesses that have fewer internal resources and more immediate business demands. The problem can be traced to concerns over lack of time, limited internal marketing resources, the complexity of managing the ongoing program, the absence of training and guidance from vendors, and frustration with disappointing results, but these organizations can bridge this gap by understanding some of the basic steps that will help them achieve more effective use of marketing automation and email marketing investments, and a better focus on the areas of focus for these technologies. Here businesses need to look at the ways they are presently acquiring leads, contacts and, in some cases, front-end sales. Some collecting strategies include landing page optimization/split-testing, opt-in form variations and drop-down segmentation, outbound lead generation campaign design. Best Practice: Maintain a vigilant split-testing regimen on all major landing pages that involve email capture functionality. Any web page responsible for substantial lead-flow should be split-tested. Here organizations need to build the best possible initial relationship with their prospects through automated follow-up sequences and communication calibrated by prospect type and behavior. 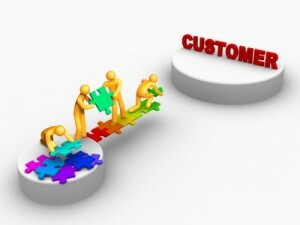 Some connecting strategies include customer avatars and customer profiles (purchase motives, etc. ), analytics for email open and click-through rates, split-testing of email sequences and subject lines. Best Practice: Segment email subscribers and leads (from white papers, etc…) early, not late. If you can segment prospects effectively, you can communicate to them in a more relevant way (by business size, by goals, by industry, etc…), your emails can drive much better results in terms of engagement, appointments / sales. Business should be working to leverage email and automation strategies to assist customers in making their first significant step forward with the organization’s business. Some converting strategies include appointment form split-testing, landing or sales page split-testing, offer and campaign construction. Best Practices: It’s important to be able to quantify what a “conversion” is in your business. If you sell online, you may want email marketing to directly drive sales (very measurable). If you sell in person, email should usually be responsible for settling up appointments (also quite measurable). Organizations should be looking to continue relationship-building with customers and/or prospects. Some circulating strategies include determination of broadcast regiments, long-term customer lifetime value mapping and optimization (“deep” campaigns as an alternative to neglecting past prospects and customers), “newsletter” segmentation, and testing methods engineered to refine communication for long-term engagement. Best Practices: The “vanilla” newsletter is the same, bland message that goes out monthly to all your contacts. It is a thing of the best. If you do keep a newsletter, segment it into categories of relevance, such as “customer,” “past customer,” and “prospect,” and speak to those groups individually. While these strategies may seem foreign to some, there are real-world many examples of smaller organizations that mastered marketing automation and email marketing and as a result, uncovered areas of improvement that deliver significant yields by more efficiently and productively managing projects of high priority to their business. It all begins with understanding the steps necessary to bridge the “marketing gap” and if help is needed to navigate this journey, there are those who could guide – all businesses need to do is stop and ask for directions. Dan Faggella is the founder and CEO of CLVboost, a marketing consultancy based in Cambridge, MA, that works with businesses to help them realize their growth potential by maximizing new and existing marketing technologies. Dan is a sought-after speaker on this topic at Internet marketing events, startup conferences and business workshops across the US, and he has been featured on media channels like MIXERGY and GrowthHacker.TV. Dan is also founder of TechEmergence, an online community and strategic resource supporting the work of startups, researchers, investors and others focused on technology that has the potential to alter human potential.